The community's demand is for five per cent separate reservation for Gujjar, Raika-Rebari, Gadia Luhar, Banjara and Gadaria communities in government jobs and educational institutions. Reiterating the community's intentions, Bainsla brought up the demand for a fresh quota at a community meeting held in Ajmer. 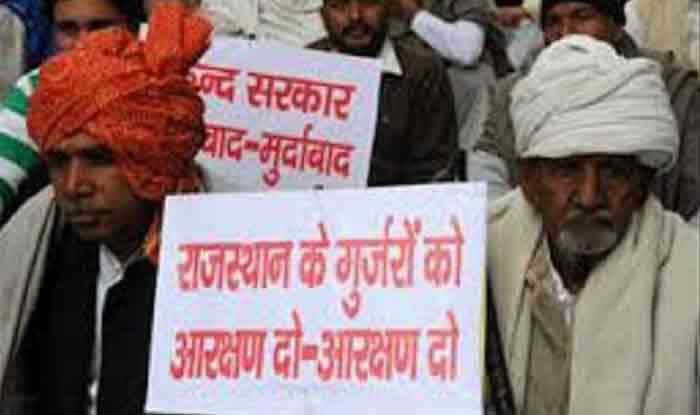 New Delhi: Gujjar Arakshan Sangharsh Samiti (GASS) leader Kirori Singh Bainsla’s has urged the Rajasthan government to act upon reservation issues of the Gujjar community, which consist of a five per cent fresh quota in government jobs and educational institutes. The leader has also threatened to go on rasta roko strike today onwards in the state if demands are not met. “State government should clarify its stand on the reservation issue in 20 days failing which I will stage protest,” Bainsla, who has spearheaded Gujjar agitations in the state, told reporters. The leader said he will hold a ‘panchayat’ in Khandar, Nainwa, Ajmer and Dausa on January 27, February 1, 5 and 13, respectively. For the movement to gather momentum, the community leader also sought support from government employees belonging to the most backward classes.